2, Gelatinization degree can reach 90%, enhance the output of fodders, it is suitable for making floating feed, pet food, fish fodder. 2, Gelatinization degree can reach 90%, enhance the output of fodders, it is suitable for making floating feed, pet food, fish fodder. 3, New desigbed model, compact structure, high efficiency 4, the fish food can keep over the water for over twelve hours. Sanmenxia Weiyi Agricultural Machinery Sales Co., Ltd. 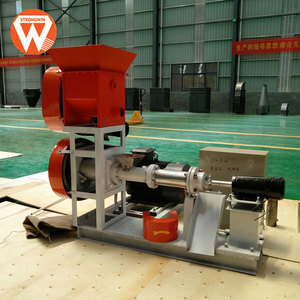 According to your requirement and production scale, the floating fish feed pellet machine can be cassified into dry type and wet type series. 5.Electric heating device is adopted which can improve the feed expansion rate and pellets floating time. 8.The wet type machine needs a boiler to make steam which can conduct steam to the conditioner and ripen the raw material in advance. 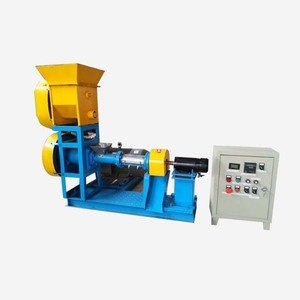 fertilizer pelletizer machine/fish feed pelletizer/pelletizer Application Pelletizing is the process of making waste materials into solid fuel. MZLH-Series Ring Die Pellet Mill is designed for the industrial production which includes MZLH-420 with output 800-1000kg/1hour; MZLH-600 with output 1500-2500kg/1hour; and MZLH-800 with output 3500-4500kg/1hour. MZLP-Series Flat Die Pellet Mill is designed for the family/farm need with lower output which includes MZLP-200 with output 50-100kg/1hour; MZLP-300 with output 150-250kg/1hour; and MZLP-400 with output 250-350kg/1hour. 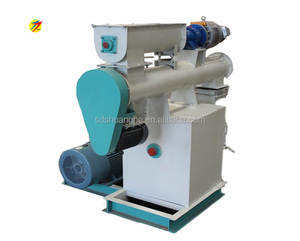 Name: SZLH Series Double Conditioner Fish Feed Pellet Mill Capacity: 1.5-8t/h Features: 1. Double conditioner; 2. Long time in the conditioner make the rapening degree enhanced; 3. Adapt to produce aquatic pellet feed; 4. Behaving great producing capability when produce fish pellet feed. 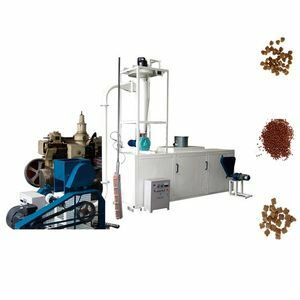 nigeria use fish feed extruder/floating fish feed extruder/fish food maker pelletizer for sale The floating fish feed pellet machine can produce different fish fodder,the fish feed pellet can floating 12 hours in the water. Fish and livestock like to eat easy digest, artificial can easily observe frog fish food intake, and won't cause the waste of feed. Material by high temperature high pressure effectively kill escherichia coli, salmonella and other harmful bacteria, ensure the health of feed, be helpful for protein denaturation absorption and starch pasting, easy to fish and livestock absorption. 3.The floating time can be controlled by the puffing degree adjustment. 5.Electric heating device is adopted which can improve the feed expansion rate and pellets floating time. 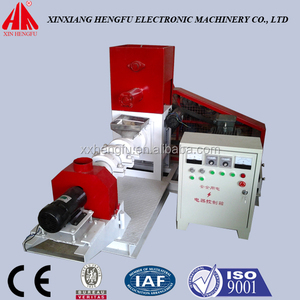 7.The cutting device can be adjusted to make pellets of different length. 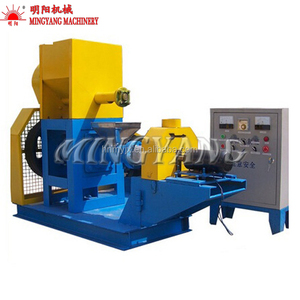 Gongyi City Meida Material & Trade Co., Ltd.
Jinan Phenix Machinery Co., Ltd.
Changzhou Machinery & Equipment Imp.&Exp. 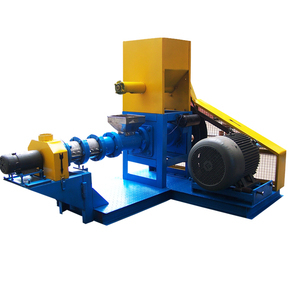 Co., Ltd.
the roller will rotating and squeeze the raw material in the feeder ,then let them get through the mesh. The pressure and high temperature will make raw material turn to be pellet feed. 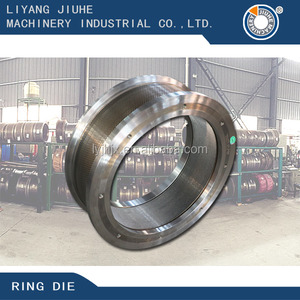 There are transmission shaft of machine, when you buy the machine we will connect the motor with machine. 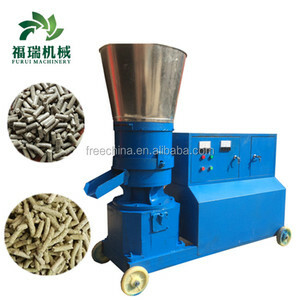 Alibaba.com offers 1,195 fish feed pelletizer products. About 84% of these are feed processing machines, 2% are wood pellet mill. A wide variety of fish feed pelletizer options are available to you, such as free samples, paid samples. 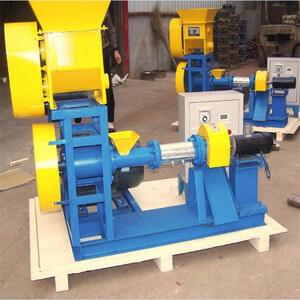 There are 1,115 fish feed pelletizer suppliers, mainly located in Asia. 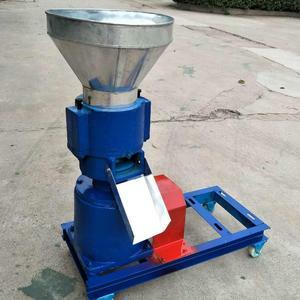 The top supplying country is China (Mainland), which supply 100% of fish feed pelletizer respectively. 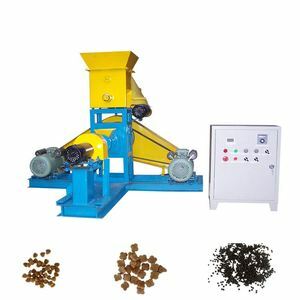 Fish feed pelletizer products are most popular in Africa, Southeast Asia, and Domestic Market. You can ensure product safety by selecting from certified suppliers, including 261 with ISO9001, 96 with Other, and 3 with BRC certification.